Mark your calendars! 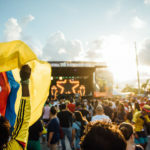 From January 25th to January 27th, Wynwood Life, the ultimate lifestyle festival, will be taking place in, no other than, Wynwood Art District located in the heart of Miami, Florida. This weekend-long street festival is where art, music, fashion, and food come to life. RSVP to participate in this one of a kind experience and Swarm into all that Miami’s Art District has to offer. With more than 60,000 people in attendance from all around the world, you don’t want to miss this! Wynwood is the centerpiece of all things creative and is bustling with diversity and culture. 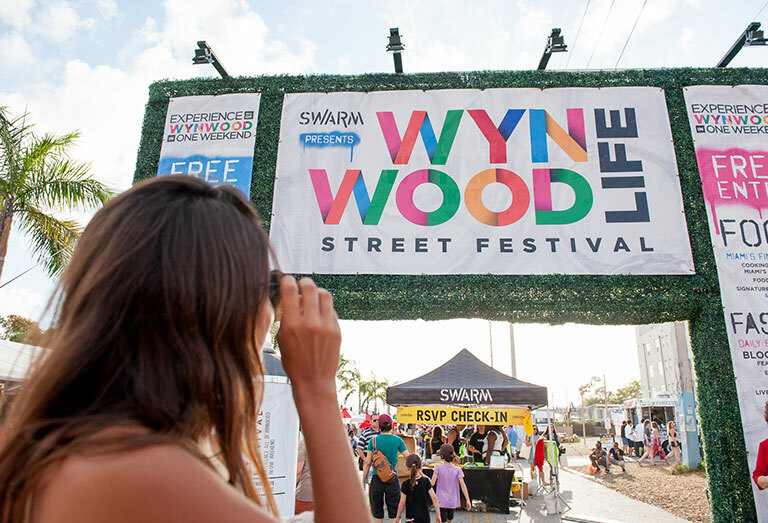 2019 marks Wynwood Life’s 7th annual festival presented by SWARM, Inc. and Wynwood Business Involvement District (BID) providing you with an authentic Wynwood experience featuring all the localities that make Wynwood Life exist. There’s enough party for everybody! We can tell you what to do and how to enjoy your weekend to the fullest. In Wynwood, we do things BIG, you’ll be amazed at how we show our love for art. Check out our live paintings featuring The Wynwood Cannons, our famous 7-foot spray paint cans! 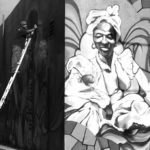 Special Guests include Wynwood-based artists GOSA and Brian Tomori who will be painting with these special edition cans that will blow everyone away! We have over 200 murals from both local and world-renowned artists and many galleries that will set the mood. Another addition to Wynwood Life 2019, for the first time this year, Creative Glue will be presenting “Art of War” where two teams will battle it out painting on two giant canvases, allowing for skill, artistic vision, and teamwork come together to create true works of art. Artists participating include King Red, Sebastian Ferreria, Cindy Franco, GOSA, and more to be announced. Do you have a love for music? Check out thedeck where some of Wynwood’s most anticipated bars and lounges will be hosting “music takeovers” featuring Wynwood’s most popular DJ’s from Barter, SHOTS, The Wynwood Factory, Brick House, thedeck, Coyo Taco, Fashion, Boombox, Mr. Kream, Veza Sur, Gramps, iHeart, and Dirty Rabbit. 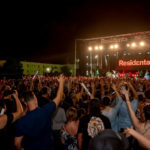 With a great number of nightlife locations involved, there is plenty of space to fulfill your love of music at the festival. 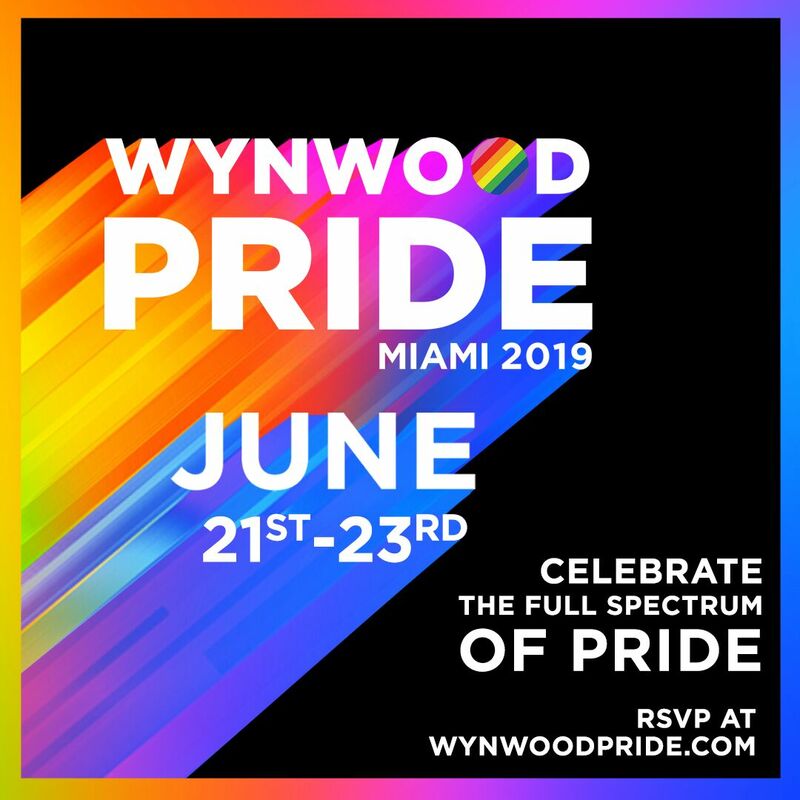 Trendy attendees can flex their styles at our daily fashion shows featuring an array of styles from local Wynwood businesses and the return of the Fashion Style Lounge by Bloomingdale’s. Strut through the artistic mix of local vendors at the Thrifter Market with over 80+ participating artisan vendors displaying products ranging from unique Wynwood finds to vintage creations and handmade originals. Are you a foodie at heart? No judgment here – we can’t deny that your taste buds will be roaring with anticipation either, in fact, you’ve come to the right place. Wynwood is home to over 30 restaurants, all very highly acclaimed and delicious at that! 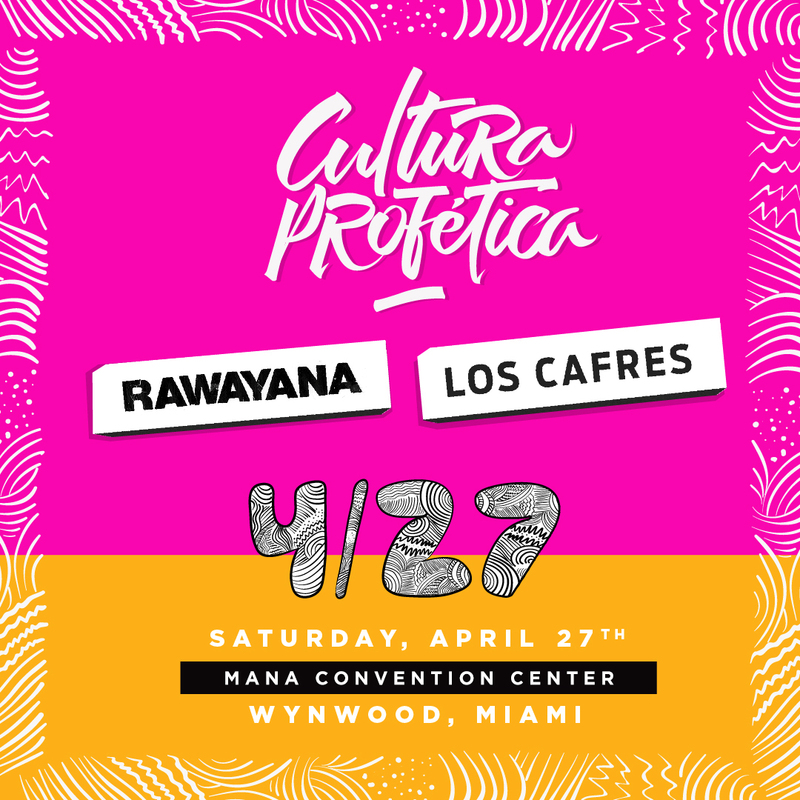 Meet us at the Kitchen Lab where South Florida’s very best Wynwood-based chefs will be showcased. 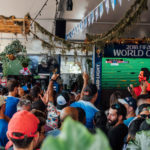 Some notable persons in this year’s lineup include Victor Santos of Three Restaurant alongside bar master Darwish Iregui of No. 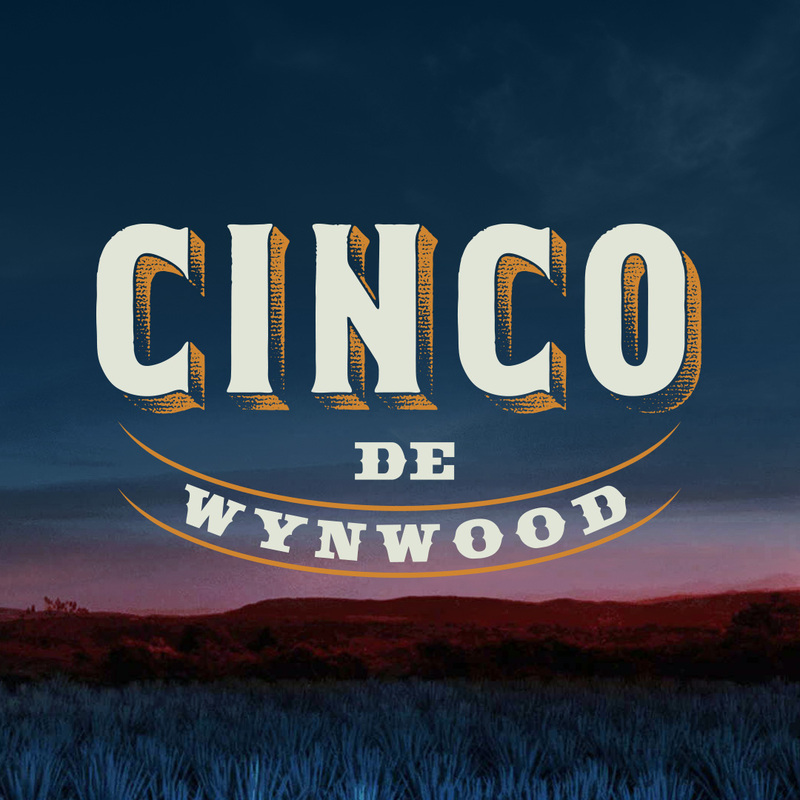 3 Social in back-to-back segments on Saturday followed by Chef Oscar Del Rivero of Wynwood’s newest Mexican restaurant Bakan, and many more. But what’s delicious food without a nice cold one to chase it down? 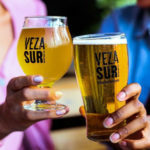 Don’t look any further, our Beer Garden is right across from thedeck, where you can sip and savor the top selections of our Wynwood-based breweries such as Veza Sur, J Wakefield, Concrete Beach Brewery, Wynwood Brewing, and Boxelder. 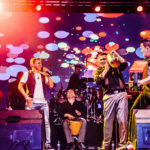 There is so much more that Wynwood Life has to offer and we want to make sure you get the most fulfilling experience. 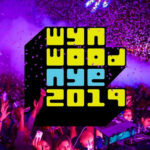 Be sure to visit Wynwood Life’s website at wynwoodlife.com where you can RSVP for a free drink and learn more information about what Wynwood has to offer. We can’t wait for you to SWARM with us! VENDORS: To apply for your spot with us, please visit www.thrifter.cool or call us at 305-239-8833. Sponsors: Interested in partnering with us or setting up an activation at our event? Please email partners@swarminc.com.